The Pan Ramajay Summer Steel Drum Festival is a five day workshop for steel pan players of all ages, backgrounds and levels to be held at the Newman Center of Performing Arts on the campus of the University of Denver in Denver, CO. An all-star faculty along with the festival participants join together for a combination of workshops and rehearsals specifically directed to beginning, intermediate or advanced level participants. These daily sessions and rehearsals are designed to assist participants with practice and playing techniques, arranging styles and techniques, improvisation approaches, ensemble organization, instruction and administration, and more. In addition, faculty and participants concert performances will also be presented throughout the week. 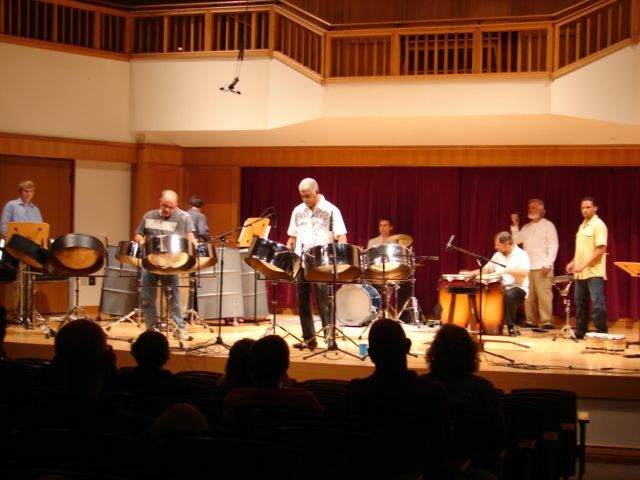 Additional Thanks to The Steel Pan Collective, a Proud Supporter of the Pan Ramajay Summer Steel Drum Festival.